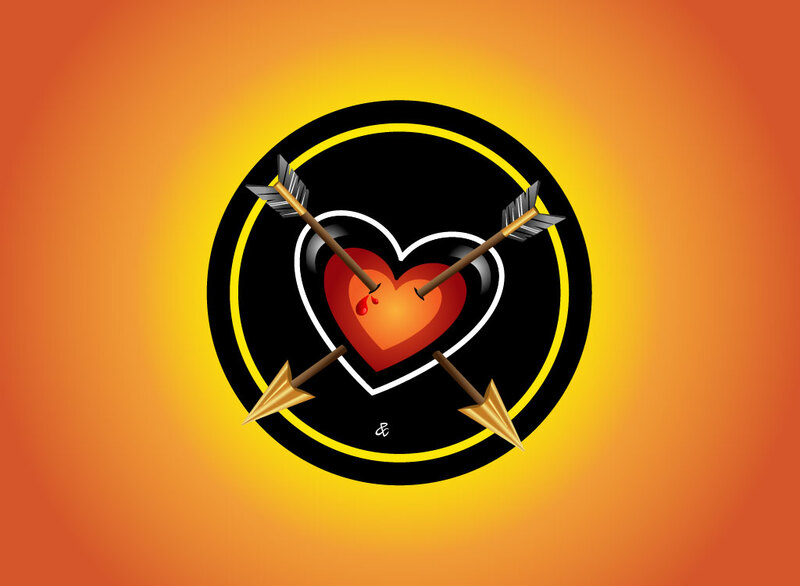 A cool love heart design featuring two arrows stuck in a bleeding heart. A classic theme done with modern vectors. A great choice for a greeting card, blog image, flier graphics or t shirt design. Download as an AI and PDF for your projects. Tags: Arrows, Heart, Holidays, Love, Romance, Valentine'S Day, Wounded.